Having solved the mystery of the Hades Consortium and uncovered the truth about his life, circus conjuror Cornelius Quaint is looking for a quiet life. Being back with his circus and all its performers should feel like bliss after all he has been through .However Cornelius Quaint can’t shake the need to do something. Cornelius is a man of action and being immortal is no excuse to get lazy. Thankfully, the Queen of England offers the perfect distraction to boredom. Queen Victoria wishes to invoke the powers of the Monarch Key, given to Quaint when he saved her life on a previous occasion. The Queen only gives the key to trusted individuals and there are only seven in existence. The first being that Lady Crichton-Blake’s head has been removed. The second is that playing cards have been strewn across the floor and the one missing card is the Queen of Diamonds. Upon looking at the cards more carefully, Quaint realises that the killer isn’t done. They are only just beginning. I love Cornelius Quaint. 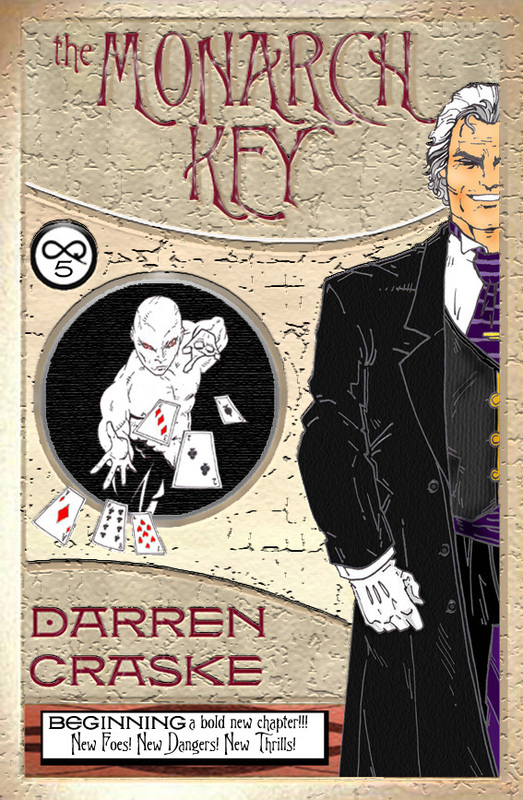 I don’t know how he does it, but Darren Craske always manages to top his last book and The Monarch Key is no exception. Cornelius Quaint is as suave and debonair as usual and Madame Destine as all seeing. What makes The Monarch Key so incredible is that you have no idea where the story will go. Just when you think you have it figured out, Craske pulls the carpet out from underneath you. What starts off as a brilliant murder mystery takes an incredible turn when we’re introduced to a medium capable of contacting the dead. Rather than being a fraud, however, the medium is the real deal. She also has it in for Quaint and Destine. I wondered where the Quaint series would head next. After the closing off of the four book story arc, where Quaint finally learns the truth about his childhood and takes on the Hades Consortium, I wondered how Craske would continue the story. What could be next for the conjuror? After finishing The Monarch Key, and being left with one heck of a cliff hanger, all I can say is that I’m anticipating the next book with relish. Craske continues to write some of the most amazing books with the most wonderful characters and his genius for storytelling knows no bounds. I can’t wait to read the next adventure and catch up with Cornelius, Destine and company again. I have only one request for Darren Craske: write faster!